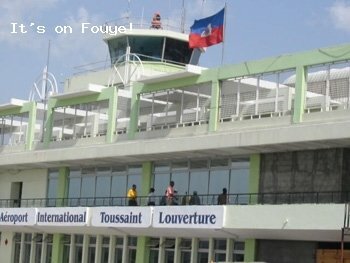 Toussaint Louverture International Airport is an international airport located in Tabarre, near Port-au-Prince in Haiti. The airport is currently the busiest in Haiti. The airport opened as Francois Duvalier International Airport in 1965, named after then Haitian president Francois "Papa Doc" Duvalier. After the fall of the Duvalier regime, in 1986, The airport was renamed Port-au-Prince International Airport. In 2003, President Jean Bertrand Aristide renamed the airport again as Toussaint Louverture International Airport, in honor of Toussaint Louverture, the Haitian revolutionary Leader.